Where does Lemon Myrtle (Backhousia citriodora) grow? Does the plants sensitivity to extreme conditions affect the product? 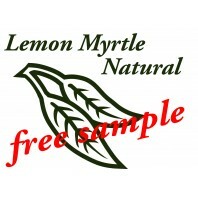 Where is the Lemon Myrtle used in your products grown? How do you cultivate the Lemon Myrtle? What is its major benefits of Lemon Myrtle? The bottle says do not use undiluted on the skin or before exposure to the sun, is the oil too concentrated? What does Lemon Myrtle smell like? Do your products contain ‘Sodium Laurel Sulphate’? How does ‘Sodium Laurel Sulphate’ affect people? What do people say who have used your products? An Australian native plant, Lemon Myrtle is a rainforest species that grows in deep volcanic soil in areas with a high rainfall. The plants are very sensitive to extreme conditions and do not tolerate frosts. Does the plant's sensitivity to extreme conditions affect the product? No. Its sensitivity has no effect on either the product’s longevity, or its quality. The Lemon Myrtle plantations are located in the hinterlands of northern NSW. Because of a high rainfall, sub-tropical climate and deep, fertile volcanic soil, this area is recognised as the best agricultural land in Australia. How is Lemon Myrtle cultivated? The plants are grown using organic processes. No chemicals are used on the plantations as the plant is not attacked by insects or diseases. Intensive farm management practises are undertaken to maintain the plantations in perfect order, free of chemicals. Specifically, the trees are heavily mulched to duplicate the ground cover of the rainforest. Organic fertilisers— worm juice, worm castings—and intensive inter-row management to control any weeds or infestations which may contaminate the plantation are used. Because the oil is grown in a chemical-free environment, this in turn adds value to the products. What are the major benefits of Lemon Myrtle? The Rideal-Walker test assesses the anti-microbial activity of a plant by examining the phenol co-efficient of a number of essential oil components such as citral, using bacteria salmonella typhii as a test organism. The test (in which the higher scores are best) awards Lemon Myrtle oil a co-efficient rating of 16; Tea tree a score of 11; and Eucalyptus citriodora scores 8. 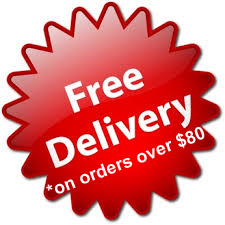 People worldwide are seeking out alternative products containing more natural ingredients. Research carried out by Dr Jenny Wilkinson, Senior Lecturer in Physiology, Biomedical Sciences & Pharmacy at Australia’s Charles Sturt University, shows that essential oil distilled from the Lemon Myrtle leaf has strong anti-bacterial and anti-fungal characteristics. This, together with its unique lemon/lime fragrance, makes it a truly wonderful essential oil. The bottle says ‘Do not use undiluted on the skin or before exposure to the sun’. Is the oil too concentrated? If the oil is diluted, this restricts its use. When diluted in the bottle, it can only be used for massage. It is not recommended to use the 100% essential oil undiluted on the skin. Dilute the pure Lemon Myrtle oil in a carrier oil or cream before applying to skin. Pure oil can be used for cooking and in an oil diffuser or burner. Using the pure form of the oil, people can choose how they want to use the product. 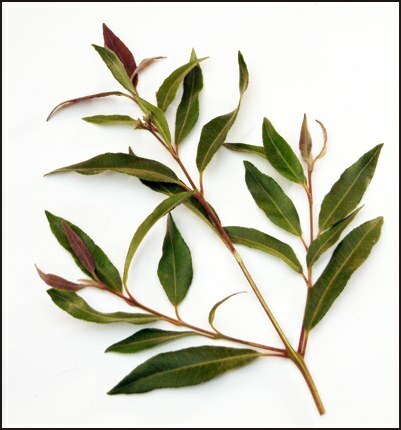 Lemon Myrtle fragrance has a distinctive fresh lemon scent. 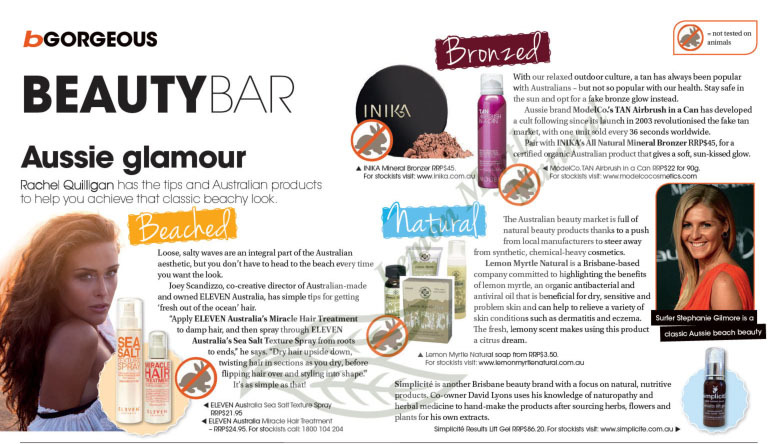 Our products are attractively packaged to portray their ‘clean, green and natural’ Australian heritage. Do your products contain Sodium Laurel Sulphate? No. Our products do not contain Sodium Laurel Sulphate. This is one reason people seeking a more natural alternative enjoy our products. How does Sodium Laurel Sulphate affect people? Sodium Laurel Sulphate can cause cataracts, corneal damage, improper eye development in infants, dry skin, liver toxicity, dermatitis, mouth ulcers and impaired hair growth. It can also cause nitrosamine formation, which is carcinogenic. We have numerous testimonials from people stating that our Lemon Myrtle products have assisted skin ailments, particularly dermatitis. No animal testing or animal based ingredients are used in regards to our products.